"TALK TO YOUR STATE SENATOR"
Update: School Safety experts from across the state are busy judging the statewide finalists. Senators are currently in the process of distributing certificates to participants including semi-finalists. The statewide winners will be revealed here on this website, on Tuesday, May 7, 2019 at 9 a.m.
All status updates on the competition will be made here on the website. School Violence - In the age of social media and the 24-hour news cycle, the topic has gained more and more attention. Although members of the national media tend to focus on gun violence, the percent of school children who are affected by school shootings remains very small; not a great comfort to those who experience such a tragic event. Instead, it is far more likely for students to be affected in their day-to-day lives by other threats or acts of hostility that make them feel unsafe. According to the CDC's 2016 Youth Risk Behavior Survey (YRBS), nearly 8% of students had been in a physical fight on school property one or more times during the 12 months before the survey. Nationwide, about 6% of students had not gone to school at least 1 day during the 30 days before the survey because they felt they would be unsafe at school or on their way to or from school. Missed classes, depression, anxiety, and non-fatal injuries are all side effects of school violence and have a negative impact on learning. Victims often suffer invisible wounds. Several laws related to improving school safety have recently been enacted and several more are being proposed but we want to hear your voice! Legislators often turn to experts to advise them and provide background on various policy issues when they are creating new laws. As a student in Pennsylvania's schools, you are in a unique situation. On a day to day basis, you face the pressures of being a teen in the 21st Century. You are an expert. Therefore, we want you to share your thoughts and advise your legislator-talk to us! Share your ideas with us to help keep you safe! 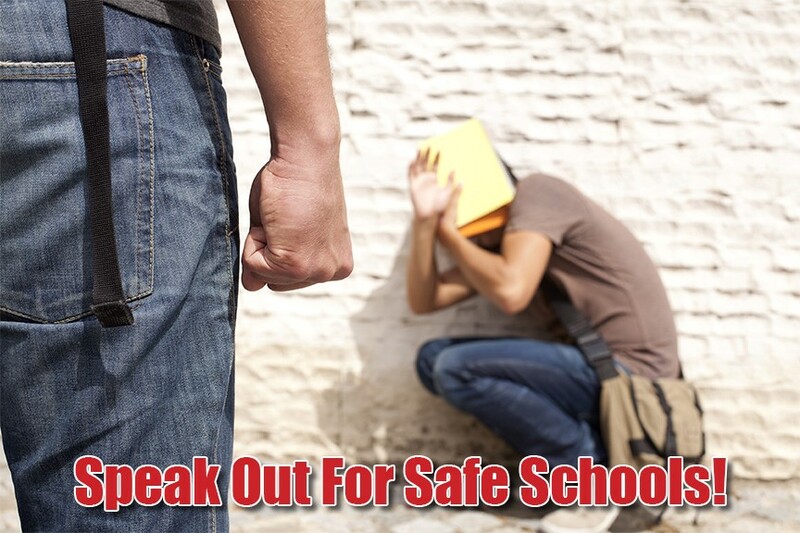 Speak Out For Safe Schools! The Pennsylvania School Boards Association is providing $10,000 in prize money. Money will be awarded through the TAP 529 Account program in the PA Department of Treasury and will be deposited into an account in the winner(s) name. Deadline for entries is December 7, 2018. See the Contest Registration link for additional details. Our goal is to prevent school violence. Therefore, your original VIDEO entry must address the issue of how to prevent violence in the schools. Students may submit one video entry no longer than 3 minutes. You decide the time you need to get your point across. You may work alone or in groups of no more than five students. If working in a group, students must identify one primary contact as the team leader, however all participating students must be identified by first and last name, on the official registration form. Student entries must be submitted along with a release signed by their parents or legal guardian. If you are working with an adult advisor through a class or club, the adult advisor name and contact information must be identified on the entry registration. If the student(s) are working independently of a class or club, a parentâ€™s name and contact information must be provided. Entries must be submitted using the registration form available on line at www.legis.state.pa.us/talk-to-your-state-senator/. Deadline for entry is December 7, 2018. All dialogue, video clips, production and editing must be original and may only contain copyrighted content if appropriately cited. Entrants must credit all sources used to create the video documentary in the end credits of the video or in a separately submitted citation list. All students must be enrolled in either a public, private or home school program within Pennsylvania. All entries become the property of the Pennsylvania Senate. Entrants agree that submitting their video permits the Pennsylvania Senate to use, without any compensation, their names, likenesses and entries for promotional purposes. By submitting an entry, entrants represent that their entries constitute original works of creativity that do not violate the property rights of any other person or organization, and grant the Pennsylvania Senate the right to exhibit, distribute, televise and otherwise use the entries in various media. IMPORTANT NOTE: Due to the fact that there are 50 state senate districts, the number of semi-finalists may reach 50 in each of the categories. Winning videos may be posted on the Senate website and Facebook page. Winning videos may be made available to local news outlets. Finalists may be invited to the Senate chamber for recognition on the floor. 1st, 2nd, and 3rd Place winners will be selected from each of the two (middle and high school) semi-finalist categories. If any or all of the 1st, 2nd, or 3rd Place winning videos are submitted by a group, the students whose names appear on the official entry form shall receive an equal share of the total prize money for that category deposited into a TAP 529 Account in their name. Entries will be judged by an independent panel of judges, and will not include any Pennsylvania Senators. Immediate relatives of Senators and their staff are ineligible to participate. Judges will be announced closer to the competition deadline. The registration for the 2nd Annual Talk To Your State Senator Statewide Video Competition is now closed. If you have questions regarding the contest, please call 717-772-0500.